It has been a busy week, and a very warm one here. I spend the days working on class materials and trying to stay as cool as possible (but failing!). 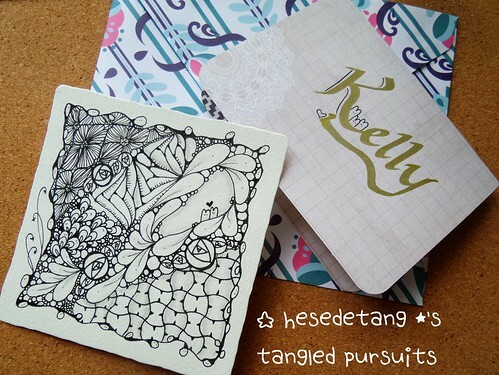 So much to do, yet I have successfully squeezed in a fair amount of tangling. This little package is enroute to Kelly Barone, CZT. 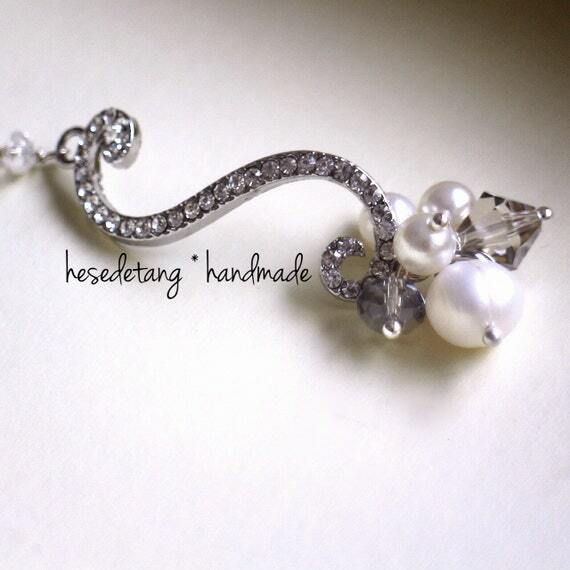 She has recently opened a new studio and has invited CZTs from around the world to send her tiles with a Z-string. I went a bit overboard (too many different tangles!!) with my first tile, pictured here with a simple card I made, and I ended up sending her two tiles instead so she could decide on which would be more appropriate for her use. I do really like how this tile turned out though.. Perhaps I should re-explore the use of Z-strings! 🙂 Here is a closer look.. Amongst other tangles, I used Ipso by fellow CZT 18, Jennifer Hohensteiner, for my border. I’d met Jennifer through Flickr and had absolutely no idea we were attending the same seminar, till after! We connected ‘properly’ finally over Facebook. 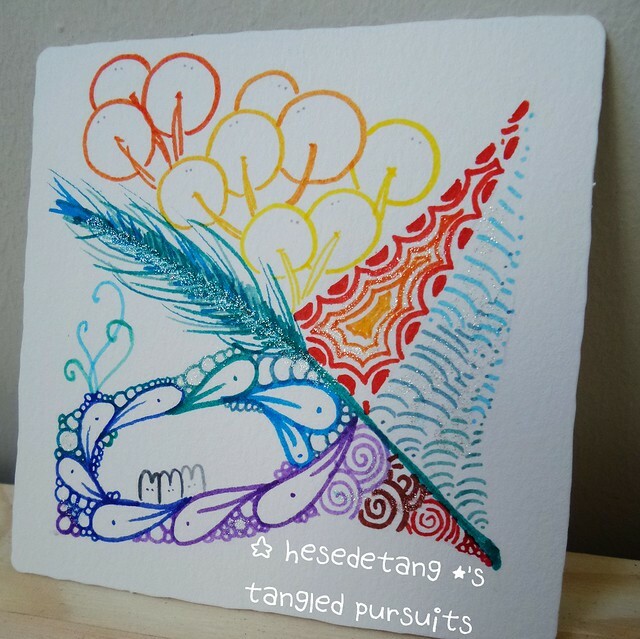 Ipso was one of the very first tangles I’d learnt when tangling. It is so great to know the person who came up with it 🙂 It adds meaning to my drawing experience. Ipso is a very fun tangle, and I always add ‘eyes’ to it. I think it makes it look cute, friendly and cheerful. 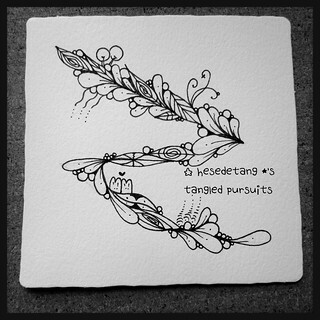 So – Kelly actually asked for a simple tile with just a couple of tangles on a Z-string. My first tile was so complex, I felt it might not fit her concept. I then made up a second tile, using just the Z-string with LOTs of light and space (as can be seen, lol! ), only tangling up the Z. As it turned out, this tile too, looked really pretty! I might have to duplicate it for my own collection sometime. 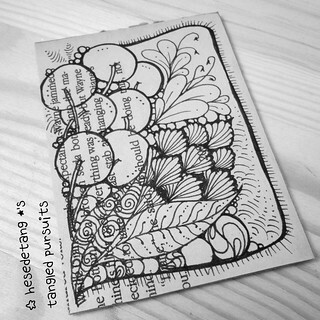 I am now putting together more ZIA and Zentangle tiles so that I can feature these at classes or at my MAAD booths. I had previously been giving tiles and ZIAs away as mementoes and swaps. Snapshots were all I’d kept, on Pinterest and Flickr. 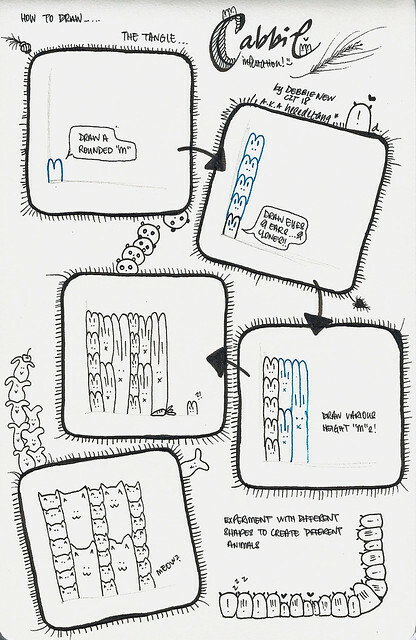 Last week, I finally put up the step outs to my tangle Cabbit on the Tangled Pursuits site and FB page. I have been drawing Cabbit since July 2014, but I always had doubts about it being a true tangle so I never dared to publish it until recently. In its basic form, Cabbit uses repetitive, slightly rounded ‘M’ shapes. This week the challenge is to incorporate colours into our tiles. Because I often tangle to counter pain or anxiety, I am often tangling on the bed, before bedtime. Hence, due to a limited amount of lap-space, I am not a big fan of using colour in my pieces. However, I have been asked about holding kids’ Z classes recently, so I ran out to purchase a bucket of Faber Castell connector markers. I will be very likely using these pens for future classes, so I appreciated this opportunity to test them out! I’d also been recently given a packet of colourful copic (yum!) – but these ones are finer and I will be saving for myself. 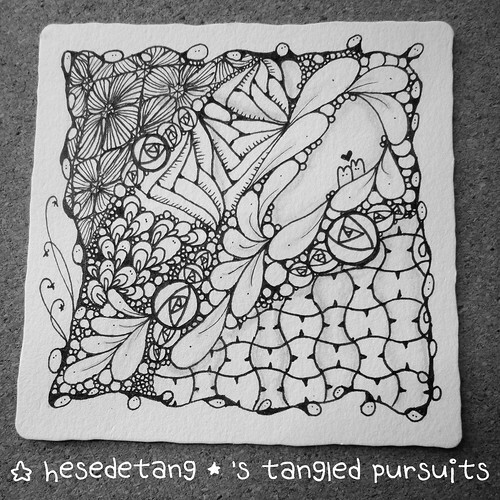 I stuck to my “go-to” tangles for this piece. Cabbit, Crescent Moon, Flux, Indyrella, Pokeroot, Printemps a little bit of Mooka and one of my feathery feathers. I am so pleased that the glitter managed to show up on this photo! Yay!! P.P.S If you should require a response from me, or have any questions, I may be contacted at hesedetang[at]gmail.com 🙂 Have a great week! 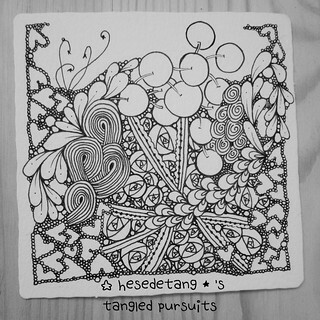 This entry was posted in hesedetang *, hesedetangtangles, Tangles by hesedetang *, zenuari and tagged cabbit, doodle, hesedetangtangles, ink, sketch, zentangle. Bookmark the permalink. Your colored tile for the Diva’s challenge is very nice—-really vibrant. The glitter adds the perfect celebratory touch. I think Cabbit has become your signature tangle. It always makes me smile when you incorporate it just a little bit. It’s kind of like the mouse in the “Goodnight Moon” children’s book. You have to look for it. Wow I need to google the book – I’ve never heard of it 😛 Well it is difficult to not give in to the urge to squeeze in a Cabbit or two when I get some negative space to play in 😛 😛 Thanks for popping in, S! Hi Cristina! What a splendid surprise 🙂 Thank you for visiting and leaving a comment 🙂 I didn’t know you have two cats – so do I! Yes, please, feel welcome to play with Cabbit.. I hope you have as much fun as I do with it! 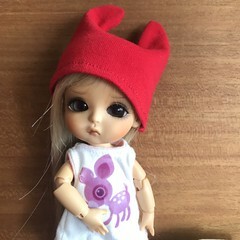 Cabbit has just been a lot of fun to play with – so much fun that it really just seems to pop up whenever I have a bit of space to spare 😛 I like that it adds just a sliver of whimsy to the whole tile. 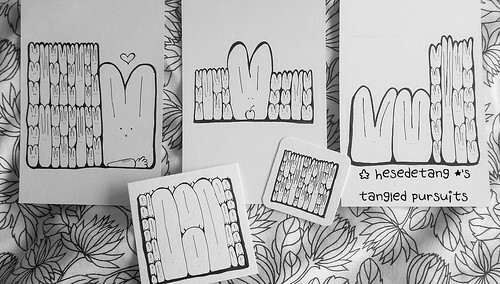 Very often, non-tanglers and even people who claim they don't appreciate art, seem to readily focus on Cabbit and chuckle, and then they linger around to chat more about Z. So in a way, Cabbit has also become for me a conversation starter that is both irreplaceable and invaluable. I love this tile – the composition of pattern and colours is beautiful! Our tiles look a bit like each other. Great minds ?????? Shop Update: Festive season pre-orders! Upcoming! Techniques Class – Bijou, Dingbatz & Whatz-its! 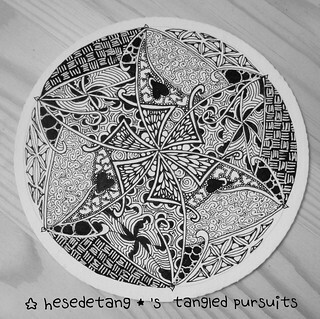 debbie a.k.a hesedetang * [her-ser-the-tang] is a cetified Zentangle teacher based in Singapore. She is also an ardent photographer, hamster-fancier and jewelry designer.